One Georgia teen was killed and another is in critical condition following a late-night ATV crash Sunday. According to a Florida Highway Patrol report, a 2016 Polaris four-wheeler was traveling west on NW 44th Street in western Hamilton County when it reached a sharp curve at NW 24th Avenue at 11:50 p.m. The 18-year-old driver was unable to negotiate the curve and continued west off the road on the ATV, according to the report. The four-wheeler hit a light pole and overturned, the report states. The 18-year-old is in critical condition at UF Health Shands Hospital in Gainesville. Another 18-year-old was killed in the accident, according to the report. FHP said charges are pending an investigation and the role alcohol played in the crash is also being investigated. Many people in Citrus County and throughout the state of Florida ride all-terrain vehicles. The three-wheeled and four-wheeled motorized vehicles are designed to handle rugged off-road terrain. Even for experienced riders, ATVs are dangerous and serious injuries are quite common. ATVs are widely used for outdoor recreation in Florida. However, Florida state laws prohibit the operation of all-terrain vehicles on public roads, streets or highways. A 17-year-old Inverness teen riding an ATV an hour after sunset on March 10 was killed when he was hit from behind by a car on a county road, according to the Florida Highway Patrol. Troopers claim the teen was not wearing a helmet and did not have working lights on his ATV while he was travelling west on Citrus County Road 581 around 8:39 p.m.
A 38-year-old Hernando woman was travelling in the same direction as the teen just west of Woodcrest Avenue when she rammed into the back of the ATV, troopers said. The 17-year-old died at the scene. According to the FHP, the woman was not harmed. All-terrain vehicles, otherwise known as ATVs or 4-wheelers, are popular recreational vehicles for people of all ages, but the reality is that they are risky automobiles for all riders and passengers. Each year, hundreds of deaths and thousands more injuries occur due to ATV-related accidents. As with motor vehicle accidents, some of these incidents can be blamed on acts of negligence, which means accident victims or their families may be entitled to financial compensation for their losses. 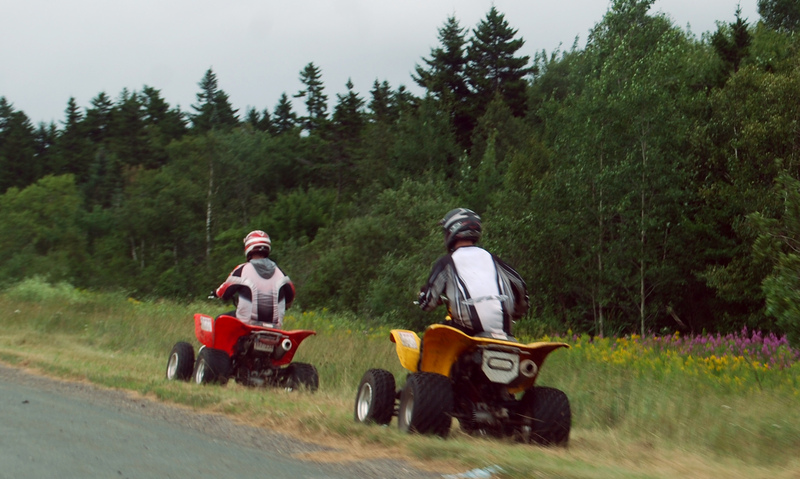 Many ATVs can reach speeds as fast as 55 MPH and can weigh as much as 500 pounds. As the speed and size increases in these vehicles so does the risk of suffering an injury. The reality is that most ATV deaths and injuries can be prevented by wearing property safety equipment, like helmets and goggles. An estimated 75 percent of all ATV accidents result in catastrophic injuries to the head, brain and spinal cord. Injuries of these natures can require lengthy treatment periods or even be permanent.